Being around for quite some time on the iPhone and iPod touch, Facebook app has undergone a few design changes along the way, with no improvements when it comes to the overall performance. Majority of 900+ million registered Facebook users with iDevices agree that the social network mobile app delivers miserable experience. With every update notification the hope for app functionality boosting rises, but unfortunately it seems the happy moment is yet to come. According to the recent rumors, the great news could be on the horizon. Thankfully that’s all going to change next month. Despite the fact that there is no single official word yet, it looks as though Facebook is planning to deliver an app that meets up to the expectations of thousands of displeased users. The new app is said to fix slow loading issue and deliver the solution to the often-occurring inability of the app to load any content at all. The report coming from New York Times claims that two engineers working for Facebook have revealed the company plans of pushing out a brand new version of iOS app. 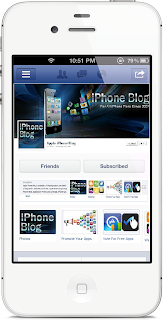 With the goal to be “blazing fast”, the upcoming Facebook for iOS is said to be totally rebuilt from the ground up. The app is rumored to be mainly built using the native Objective-C language instead of the currently used HTML5. No other specific details about the upcoming super-fast and functional Facebook for iPhone are known yet. However, before we all get excited about this release, there is one thing to note- no visual changed will be made to Facebook to iOS, but what we’ll get is the dramatic speed and performance increase, as a result of behind-the-scenes stuff. And in case the new app actually appears be as fast as the report claims it to be, it will definitely prove that opting for a cross platform language such as HTML5 is not always the best solution.